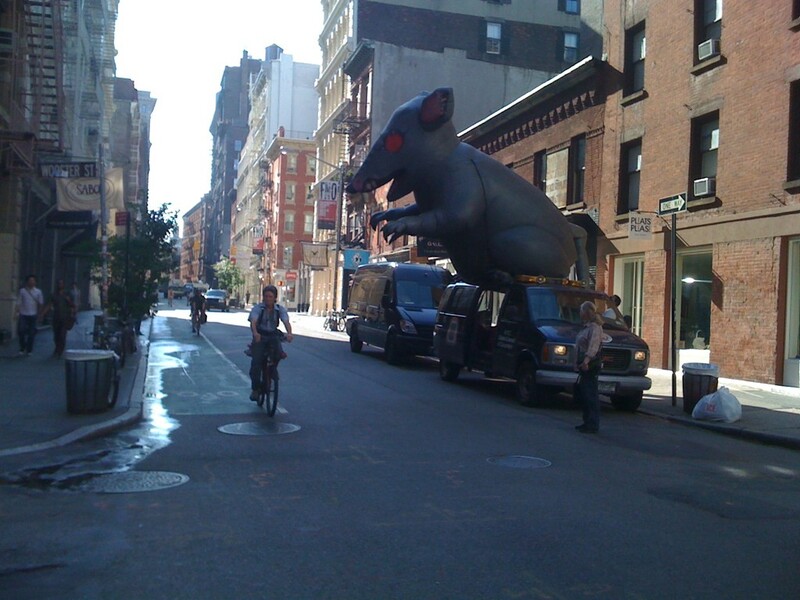 …inflatable rats! Spotted on Prince Street in SoHo. Add your suggested captions for this picture to the comments below. I’ll pick a winner and send one lucky and creative person an “I (BIKE) Brooklyn” button. Contest closes at the end of day Monday. Good luck and have a great Labor Day weekend, wherever your rides take you! A DOT spokesman said the addition of the bike lane makes the street more RATional.